Dr. Imsara offers comprehensive consultations designed to help you progress, clarify, motivate, grow in understanding, direction and purpose. This will greatly assist you to make your life more productive and bountiful. Evolutionary astrology is not predicting the future. Rather, what it gives you is a wonderful wide open window to see your life in ways you may have not seen it before. It thus provides you with a vital framework of information that will offer you a palette of new choices. Ideally, these choices complement your True Self’s purpose for being alive at this time and this is where a consult can really help you to shine. Evolutionary Astrology focuses on the growth of your True Self, the essence of who you are. It can open up three windows of perception and understanding to you. The first window opens into your past, both long term and current life. This gives us important information relative to what your True Self has been wanting to learn. The past also reveals karmic patterns and complexes, places where you tend to get caught in repetitive or nonproductive patterns of living. The next window relates to the current information that you need to have now and up to the next year or two in order to make the most of the planetary energies that are available to you. This empowers you to maximize your opportunities and gives you an extra shot of confidence for you are now more informed. The last window reflects your evolving True Self. This gives you the direction in which your Spirit wishes to grow and evolve. Your situation with unique goals and strategies are discussed. This can catapult your life into new realms of possibility and is probably something you have been vaguely sensing all along, yet remained unsure, unclear, stuck in doubt. To meet your needs I offer different types of consultations for individuals, infants, children and couples. I also offer astrological coaching within both personal and professional coaching. These can be booked in varying amounts of time and any time you feel the need for more clarity and direction. This is a comprehensive in-depth constellation that provides you with information relative to both your evolutionary path and your future evolving True Self. We will focus on your evolutionary purpose as regards to your True Self’s intention, vocation, relationships and potentials for growth. We will discuss your goals and blockages, reasons for those blockages, strategies for resolution and how you can best move forward relative to your growth needs and desires. You will gain significant greater awareness and understanding as to your reasons and needs for being alive at this time in the world. Karmic themes will be highlighted, with additional emphasis placed on your unique talents, gifts and abilities that await to be explored and activated. This also includes current transits, progressions and what else you may need to know in order to live your best life. Your questions will also be a very important part of our time together with strategies and techniques explored to help you to move forward and flourish! Communication is of upmost important between you and I. This is not a “reading” per se but an active, dynamic, living interaction designed to give you what you have been looking for, possibly without even knowing it! This consultation is 90 minutes and can be done over phone or in-person. This consult also includes an oracular message to you based on the Sabian Oracle and your astrological charts. Whether in person or over the phone the entire conversation is recorded. If in person an MP3 will be made and emailed to you. By phone you will receive an email from my recording service with code and number to call at our appointed time. I will then send you the MP3 via email. It is important to download this immediately for it is only stored on the server for 30 days. I will also mail or email you the charts depending on where you are located. . Also, 2 follow up questions are included via email only. You are welcome to email me your questions or concerns prior to our consult. In fact, I appreciate it for it helps to set the tone of the meeting. This is a specialized in-depth interpretation and analysis focusing on your child or infant’s, gifts, talents, abilities and challenges. 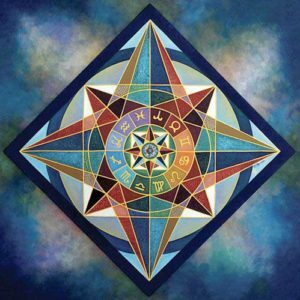 Make the most of your child’s potential by accessing the information that is contained within the birth chart. As you apply the information and strategies your child’s chart contains you are thus empowered and able to both enlighten and enrich the growth process. Traits that need to be transformed can be identified early and thus healed. Likewise, potentials of positivity can be tapped and brought to blossom. In increasing your own understanding and awareness relative to your child’s evolutionary needs you bring to him or her a life long blessing that will endure and provide you with clarity and direction. It is like a gift that keeps on giving and as a parent you will have enhanced clarity and knowing as to what your child truly needs from you. Forget the social speak and know that one size does not fit all. The Baby Works consultation is conducted the same way “the Works” consult is. I will meet with you over the phone to discuss your child and answer questions . It also includes a written analysis of the child’s karmic patterns, strategies to help to transform those patterns and specific methods to encourage and facilitate growth, gifts, abilities and talent potentials plus a jpg of the chart. You will be asked to email me a short description of your family environment, religious conditioning and socio-economic status and include up to three questions. Please make them specific and relative to growth potential. Often, your intuition may be telling you some things that need to be addressed within the chart analysis. We are gifted by the Cosmos with new information each year on our birthdays to assist in our ongoing evolution and to build up momentum relative to the overall True Self’s intention for growth and progress. The Solar Return is like receiving a fax from the cosmos with the areas clearly designated as to what you are to focus on and develop. If only we could begin to teach this in grade school! Many lives would be made much the sweeter. The Solar Return is like a huge yearly spotlight that will help you to make the most of opportunities and situations that will present themselves over the year. Things you are completing are often reflected in the solar return with the subsequent steps or directions needed for further progress. Problem solving, relationship highlights and moving into new areas for the purpose of greater life enhancement are also a feature of the solar return. Included with a solar return update are also your current transits and progressions to help give you a complete picture for successful navigation of your unique year ahead! Solar returns are best scheduled within a month or two around your birthday. Your current residence is also considered important for changes in location can also alter your solar return. The solar return update is approximately 1 hour. If in person or over the phone an MP3 will be made of our consult. By phone you will receive a code and number to call where I will then send you the MP3. You will also be emailed a jpg of the current solar return chart as part of your appointment. You are invited to email me prior to our consult your questions relative to your focus and desires. A relationship composite chart does not have to be a romantic one but that is the kind most commonly done. From this composite chart we can deduce not only the karmic history of the two individuals but also the purpose for the current life relationship. Relationships are entered upon in order to assist in evolutionary growth and learning for the individuals involved. Obtaining a composite chart can be very helpful in order to help to resolve challenges and conflicts that may have surfaced unexpectedly for the purpose of karmic resolution of past situations. A composite chart can also identify resolution strategies as well as timing cycles to maximize growth and healing. I recommend that if you are in a new relationship you wait about 18 months before getting a composite chart done. Just be in your relationship in the most fresh, honest and natural way you can be. Then, as time goes on, if you feel the nudge or a crisis ensues then it may be in the relationships best interest to get an analysis. The analysis will also point the way to the new areas that you and your partner as a couple want to evolve into-the path of growth together. Doing a composite chart involves an evolutionary analysis of basically three charts—yours, your partners and the chart that is created by your relationship. The time allowed is 2 hours. It is conducted similar to “the Works.” It can be in person (MP3) or by phone (MP3). The partner’s permission to use his chart information is required. The Sabian Oracle oracular message will also be included via written email or mail. You will be asked to email pertinent information prior to the consult. This is a consult designed to address your needs of the moment. Your appointment and what you want to address is up to you, ranging from full blown crisis or feeling you just need that extra oomph of support and insight that your chart can provide. This is recorded via MP3, phone only. You can reserve 20, 30 or 50 minute appointments. These appointments are for problem solving and information only. It is also perfect if you just want to sample what I have to offer. It leaves you with a good feel for what Evolutionary Astrology can do for you! You will need to provide me your birth date, time and place of birth and a short email as to the issue is required. Please be certain of the accuracy of the birth data. AFTER the reading has been done and you discover you made a mistake in the birth time you will unfortunately have to be charged the full price for the corrected reading. If the mistake was made in my transcription then I will redo it free of charge. I will calculate the current birth time for you whether is was daylight savings time or war time, so please just give me the birth time exactly as it was stated on the birth certificate or birth record. If you do not have a record of your birth time, please check any baby books, speak with family, go to the state of your birth’s vital records office. You can often receive a copy of your birth certificate in 2 weeks or less. After 1967 it was required to record birth times. Some astrologers specialize in a service that can give you a rough approximate of your birth time. This is a lengthy process called rectification. I am happy to give you a recommendation of an astrologer that does this service.